The best combination you can find in a pair of men's work boots is durability and comfort. These Danner Men's Bark 32761 North Fork Rambler Work Boots from Working Person's Store are designed with that combination in mind. In terms of durability, these men's dar ... (see full details) (see specifications) #32761. The best combination you can find in a pair of men's work boots is durability and comfort. These Danner Men's Bark 32761 North Fork Rambler Work Boots from Working Person's Store are designed with that combination in mind. In terms of durability, these men's dark brown boots are crafted with a premium full-grain leather upper. Leather is a rugged material that does not wear out easily, so it's the ideal choice for the upper of a work boot design. And to complement the upper, the moisture-wicking North Fork Rambler boots are built with a durable Vibram Q330 outsole. It mirrors the strong qualities of the upper. To bind together the upper and the outsole, stitch-down construction is used. It makes sure that the entire build of the boot is strong, so you can rely on it to last. The other aspect of the combination, comfort, can also be found in these men's Danner boots. It comes in the form of underfoot support and moisture-wicking properties. The leather moisture-wicking boots are lined with padding for increased softness, but they're also lined with a moisture-wicking lining that wicks away sweat to bring you long-lasting dry comfort. 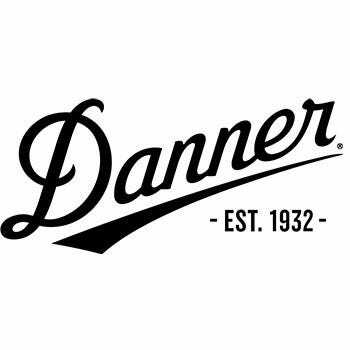 The Danner footwear is also created with a cushioning open-cell polyurethane footbed. Not only does the footbed provide lightweight underfoot support, it offers heat dissipation and excellent airflow. The open-cell design offers breathability to prevent your feet from overheating and sweating. With these Danner Men's Bark 32761 North Fork Rambler Work Boots, you get the best of both worlds: comfort in the form of support and breathability, and durability in the form of strength in the build. Order them here at Working Person’s Store today. Danner Boots: Men's Bark 32761 North Fork Rambler Work Boots is being added to your cart.